First plan shows the original bath room layout. It served a typical 3 bedroom, 1 bath 50's ranch style home. 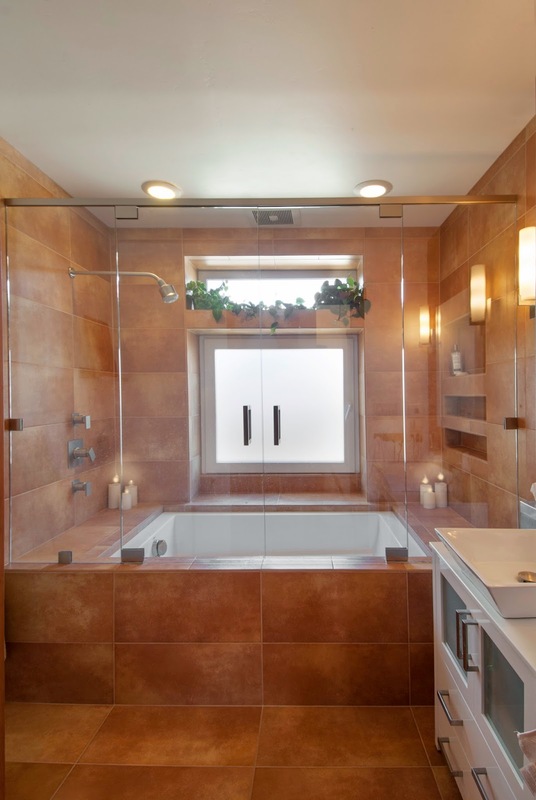 The design program to update this bathroom was to enlarge it in both size and feel, along with new fixtures, cabinetry, and finishes. To gain space a linen closet was relocated elsewhere. The small window was replaced with a much larger bay window. A wall hung Grohe toilet was chosen. Here's how the bathroom changes manifest in plan and section.